We’ve done a few articles about helmets like this one about Bluetooth motorcycle. 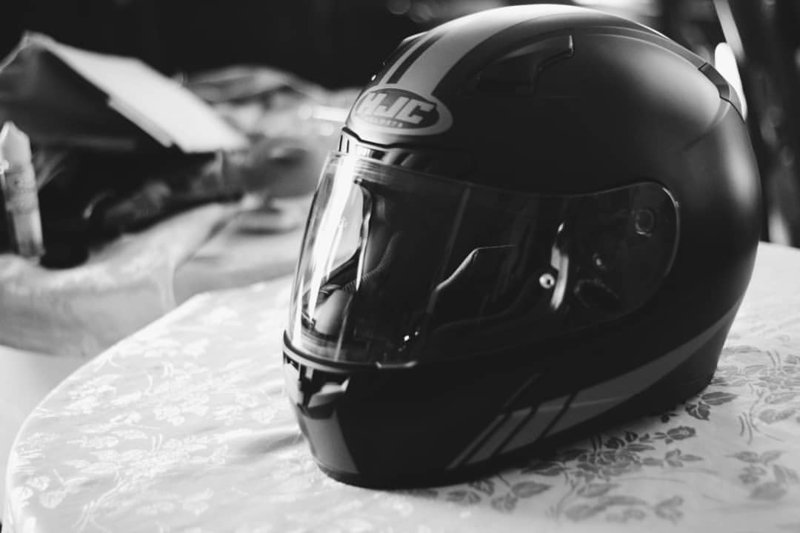 However, when it comes this piece of gear that’s essential to safe driving, you can never say too much about motorcycle helmets. It can be exhausting to try and find the right helmet for you, which is why we’re providing you with articles that take a closer look at certain brands of helmets. One brand that consistently produces high-quality helmets is HJC and whether you are a novice or expert rider, it’s time you learned more about their popular CL-17 full-face motorcycle helmet. The helmet’s purpose: Helmets often have varying features so deciding what you need is the first step in choosing a helmet. High-end helmets that are strong and durable would be a better choice for helmets worn daily, while a mid-range helmet would be fine for the occasional trip. Bluetooth helmets would be more suitable for group rides or working on the go, but if you’re just wearing the helmets for short distance rides you won’t need to splurge on unnecessary – and often expensive – added features. Helmets always need to be safety approved. 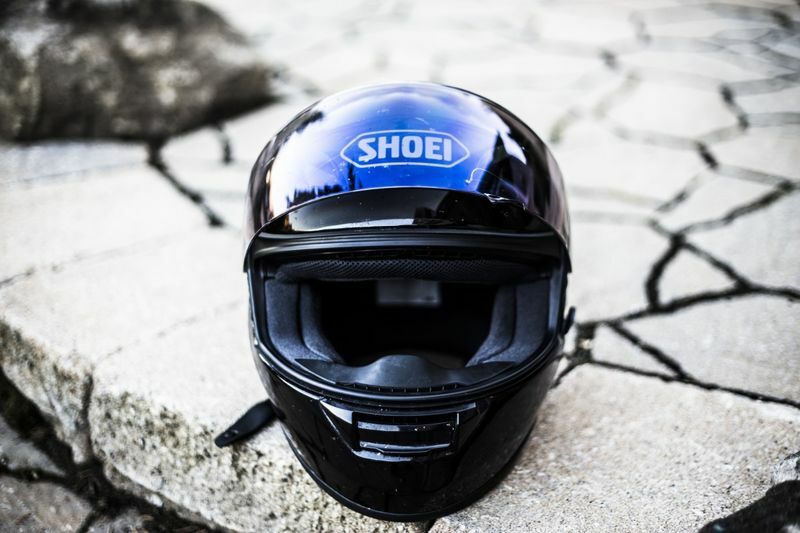 Take a look at our in-depth helmet safety guide to better understand the differences between Snell, DOT and ECE-approved safety standards for motorcycle helmets. Things such as helmet shell material, weight and internal features should all be considered when purchasing a new helmet. 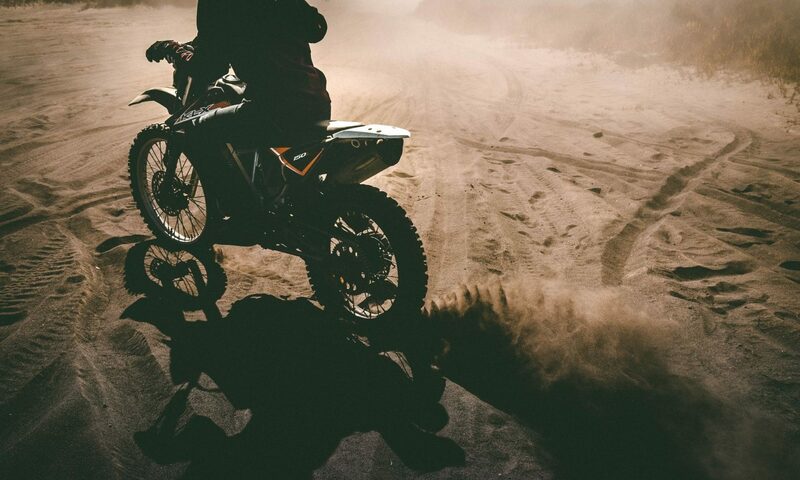 Helmets need to be light enough so as not to strain your neck, while internal features need to be comfortable and practical: ventilation is a must, as are integrated features such as visors and inner foam padding. A helmet’s safety depends largely on the fact that it fits properly around the head. Too loose and it could fall off in an accident. Too tight and it could harm you rather than offer protection under high impact. 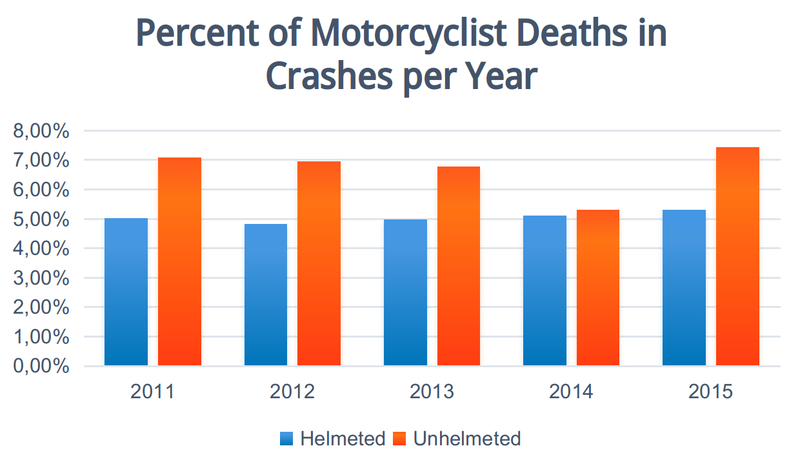 A motorcycle helmet should sit squarely on the head and no more than a finger’s width should be able to fit between the helmet and your head. There should be no pressure points and the helmet should not slide back when looking down. There are three head sizes: long oval, intermediate oval and round oval. Measure your head with a soft measuring tape from above the eyebrows and ears all the way around your head at the largest point. 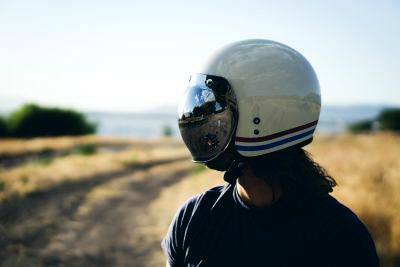 Make sure that your head size and shape correspond to the measurements of the helmet that you would like to buy. Naturally, price is an aspect that needs to be considered with any purchase. There are great options available across all price classes but with something as important as head gear, safety should always come first! Try to purchase the best helmet possible within your budget. One of the mid-range options from HJC that we’ve got our eyes on is the CL-17 full-face motorcycle helmet. HJC has been producing helmets since 1971 and tests helmets both in the laboratory and in their own wind tunnel testing facilities to ensure that they are aerodynamic, ventilated and insulated from noise. Most HJC helmets have several unique features such as replaceable shields, pinlocks to secure face shields and helmets that are contoured using special CAD technology. The CL-17 helmet meets all of the requirements listed above: it’s suitable for long-distance touring and a great choice for daily commutes – it performs exceptionally well for its intended purpose of being a street and touring motorcycle helmet. In terms of safety, it meets safety standards and is both DOT- and Snell-approved. The helmet is lightweight and comprises sturdy materials such as polycarbonate. The CL-17 is available in all sizes from X-Small to 5X-Large so no matter your head size, there’s sure to be one that fits you perfectly. The helmet is available in a range of colors including red, white, silver and black in gloss and matte. HJC takes special care to prime and paint helmets to perfection by hand so the quality is top-notch. Clear coats are applied to keep the colors looking fresh for longer and detailed inspection ensures that the CL-17, as with other helmets, is well-produced and ready to be worn out on the road. The CL-17 has some great features – read on to find out more. This helmet is full-faced and offers maximum protection for the head while riding. It has a sleek new look that makes it remarkably different in style to previous versions of HJC helmets like the CL-16. Let’s start with the outside of the helmet. As mentioned, the HJC CL-17 is constructed in line with the HJC standard of using advanced auto-CAD technology to ensure a great fit across the size range. The material used is advanced polycarbonate composite shell which ensures that it is lightweight without compromising the sturdiness of the helmet. The helmet has an anti-scratch face shield that offers UV protection. The shield requires no tools to replace and can be installed easily without needing to take in your helmet for repairs. The face shield offers a wide field of vision both horizontally and vertically, which is a must for any motorcycle helmet. This model has a double-D ring strap to fasten securely and has great top air vents that can be operated easily even when wearing gloves. There is also an integrated rear spoiler and rear hot air exhausts. You won’t be experiencing any leaks when it rains – budget helmet problems, anyone? – and you can be assured that dust, dirt and everything else that you don’t want is kept where it belongs: outside! The noise isolation holds up well although it can get a bit noisy on the freeway, as is expected with most helmets. Isolating ear inserts or headphones can help minimize the noise, although it’s good to have some road noise to increase awareness on the road. A note on head sizes and the HJC Cl-17 helmet: This helmet is best suited for neutral (intermediate oval) and round heads so it might be worth heading to a nearby store to try it on before purchasing it online. The helmet’s interior is by no means inferior to the strong outer shell. Equipped with the HJC trademark ‘SuperCool interior’, the CL-17 has an advanced channelling ventilation system that ensures a good flow of air from the front to the back. It also allows heat and humidity to flow out of the helmet, while a moisture-wicking interior helps keep the face dry and sweat-free. The inner material is thick and comfortable, as well as anti-bacterial – no motorcycle pimples here! The cheek pads are interchangeable and can also be removed – take them out every now and then and hand them to your wife so they can be washed. The helmet comes with a clear shield only but a tinted shield can be bought separately. Chin padding is included and provides good comfort for long rides. The helmet doesn’t have the most advanced anti-fog properties but it comes Pinlock ready: a Pinlock insert can be purchased separately and added on to improve interior ventilation and keep fog out of the way. The HJC Cl-17 is certainly not the most expensive helmet on the market. In fact, it comes in at a very decent price considering the helmet is well-constructed and boasts the same features as helmets that cost much more. This is a great choice for any rider, from those who are first-time riders to well-seasoned bikers. The comfort and protection offered by this helmet are well above what you would expect when looking at the price tag. One cool feature of the CL-17 is that the cheek pads are compatible with all size helmets. In fact, you could probably use them in any other helmet as well. The shield is also roomy enough to fit over standard-sized prescription eyewear and sunglasses. The helmet interior has room for speakers so you can easily buy Bluetooth headsets separately and install them. This is a great feature if you plan to communicate with other riders regularly or need to communicate while riding. There are three slots included in the bottom of the chin bar for an optional chin curtain, although a chin curtain is not included with the purchase of the CL-17 helmet. 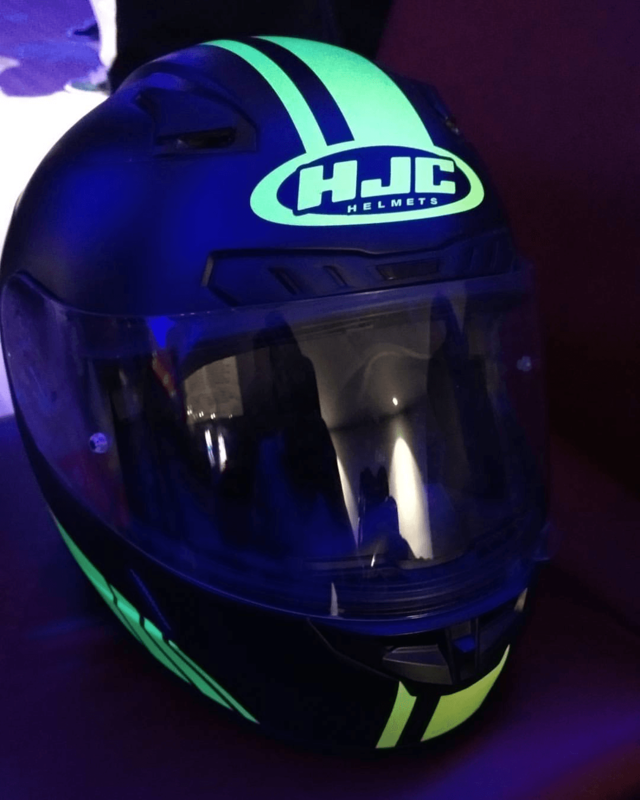 What I love the most about the HJC CL-17 is the amount of helmet you get for your cash! You simply won't get better. I'll take two! The Nolan N86 is a popular choice if you’re looking for a mid-range helmet for touring and casual riding. 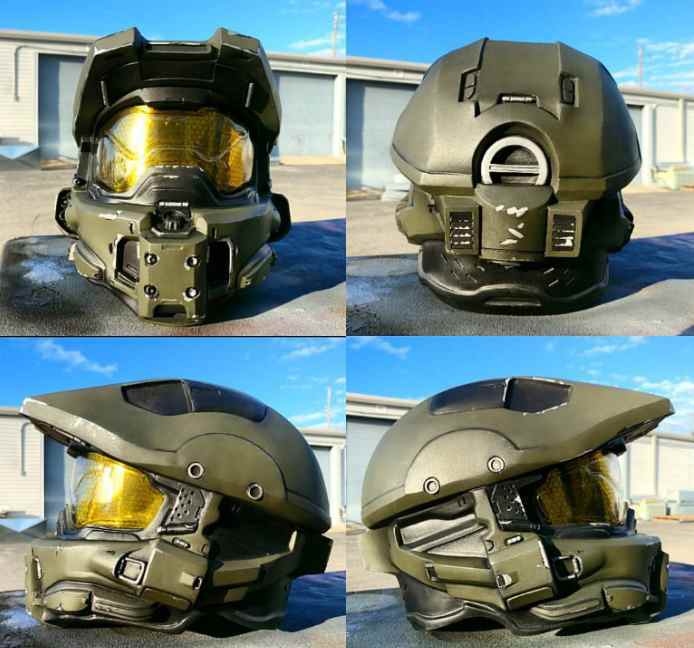 The helmet differs from the HJC model in that it has a mounted dark shield on the inside of the shell in addition to the external clear shield. Aside from this difference, the two helmets are quite similar. Both have inner padding that is removable and washable, and both claim to offer room for eyewear. The two helmets also have similar pinlock inserts. One feature of this helmet that really stands out is a reflective insert in the removable neck roll that improves rider visibility for night-time riding. The LS2 comes in at slightly below the price of the HJC CL-17, although it presents a more budget option with fewer features than both the CL-17 and the Nolan N86. However, it has the widest range of designs and colors available with everything from yellow and orange to hot pink – finally, something for the ladies. The inner fabric liner is removable and like the CL-17, the helmet is DOT- and ECE-approved. The two helmets are also similar in their properties of being lightweight and pinlock ready. The LS2 is a competitive alternative to the HJC CL-17. The cheek pads are laser contoured for a better fit and the helmet offers some great features. Ah, the CL-17’s close relative. It would be a shame to leave out this baby when comparing affordable alternatives to the CL-17. As this is another HJC helmet, it boasts many of the same features such as extended sizing, moisture-wicking inner liners and anti-scratch visor coating. Head over to our article on the HJC FG-17 to find out more about its unique features. The HJC-17 is a well-priced helmet that offers everything you would expect of a good quality piece of motorcycle headgear. It’s strong and sturdy yet lightweight, has the standard features, is safe and offers extra unique options (Bluetooth, anyone?). The only area where the helmet falls short is the lack of a shaded visor and some slight noise while riding on the freeway, but these are minor issues that can easily be solved by purchasing an additional visor and getting some good quality headphones – and with the affordable price that you’ve paid for the HJC CL-17, there’s sure to be something left in your budget to splurge a little. A man deserves to be treated every now and then, am I right?